Elaine Kalman Naves will testify at the trial of Oskar Groening, a former SS guard at the Auschwitz concentration camp, on behalf of her half-sister and relatives who died in the Holocaust. A Montreal woman will be testifying in Germany this week at the trial of Oskar Groening, a former SS guard at the Auschwitz concentration camp. 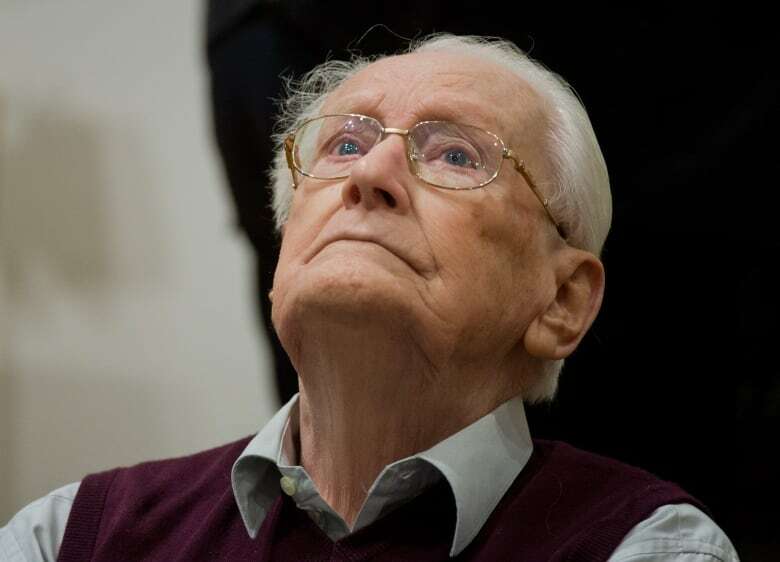 The 93-year-old Groening is being tried on 300,000 counts of accessory to murder, related to a period between May and July 1944 when around 425,000 Jews from Hungary were brought to the Auschwitz-Birkenau complex in Nazi-occupied Poland and most immediately gassed to death. He has also publicly acknowledged moral responsibility for actions he took as an SS guard. "I saw everything. I was there," Groening has said. 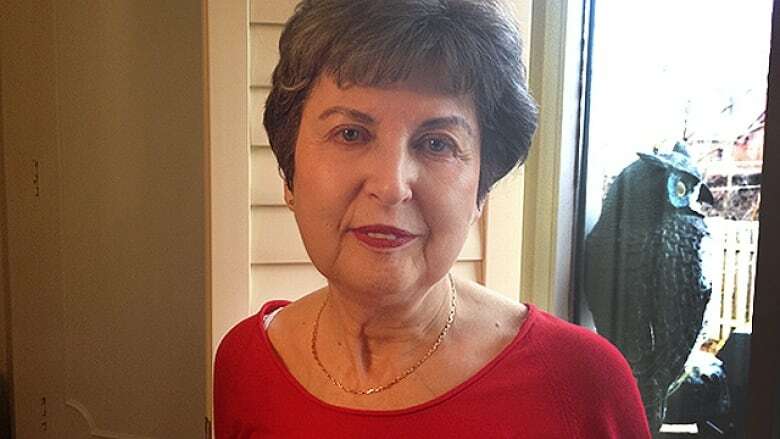 Elaine Kalman Naves of Montreal's Notre-Dame-de-Grâce neighbourhood, boarded a plane Monday headed for Lunenburg, Germany, to testify against Groening. 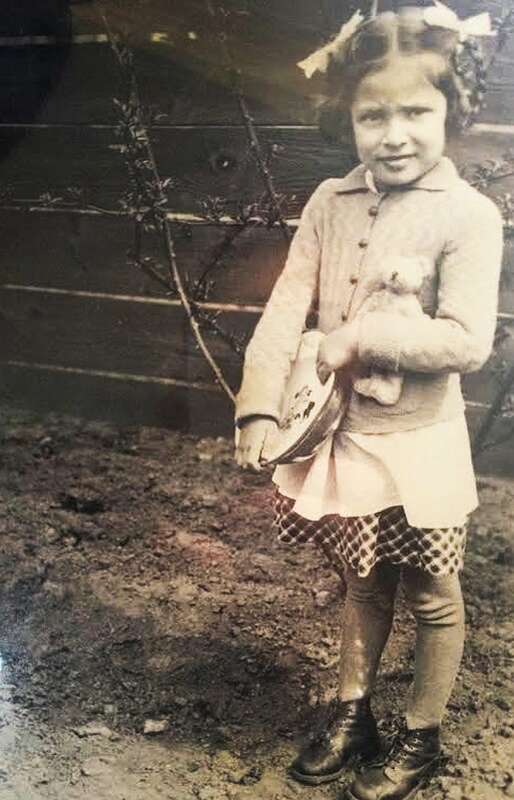 Her half-sister Évike Weinberger was killed at the concentration camp at the age of six. "Évike went into the gas chamber immediately when she arrived at Auschwitz," Naves told CBC Daybreak host Mike Finnerty on Monday. Naves said her father never had to endure Auschwitz but his entire family perished there, including his daughter from a previous marriage. She said countless other relatives from Hungary died in concentration camps during the Second World War. Naves is eligible to testify at the trial because of her blood connection to Évike, a half-sister she never knew. American Holocaust survivor Eva Kor, 81, was one of the Jews who arrived at Auschwitz in 1944. She has met Groening and has stated publicly that she does not want Groening incarcerated for his role in the Holocaust. "He's 93 years old. Putting him in jail, that's absurd," Kor said. "But he can do some good in trying to tell the neo-Nazis and the extremists that these kinds of organizations… do not work for anybody. Not for the Nazis, not for the Germans." Naves said she thought Groening's experience and regret could be a good educational experience, but she said she'd rather the German justice system work itself out. "I'm going to Germany because I've been invited to go there," Naves said. "But I'm going primarily to speak on behalf of my own family and what was destroyed."